Looking for the finest Scout patches for your young Scout? 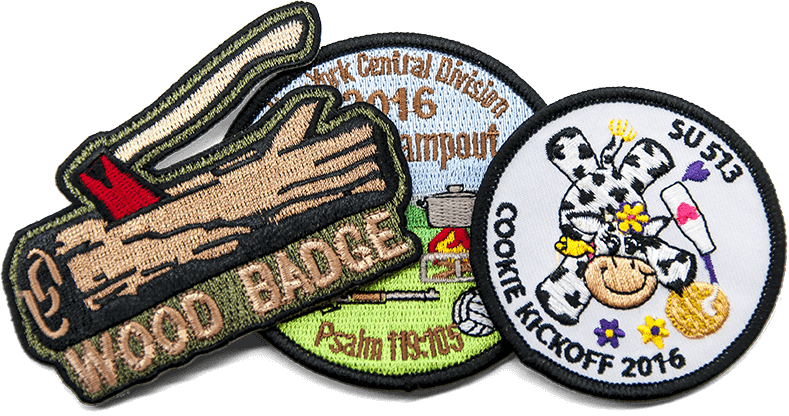 NOW YOU CAN GET WHOLESALE SCOUT PATCHES NO MATTER YOUR BUDGET! Our top-quality materials and artwork, combined with our rigorous quality control means your wholesale scout patches will be the best available. As far as price goes, we won’t be undersold, so you can get great custom patches, regardless of the size of your budget! Looking for the finest Scout patches for your young Scout? You’ve come to the right place! WholesalePatches.com is the leader in outstanding Scout patches at great prices, and with unbeatable customer service! We use only the best quality embroidery thread and backing twill in every patch we make. Our state of the art, computer-controlled embroidery equipment ensures great looking patches every time. But our real secret is our people – our talented graphic artists will help you craft Scout patches that your Scouts will wear and display proudly!